"Can't Wait". Dexter gives Zach some killer advice. 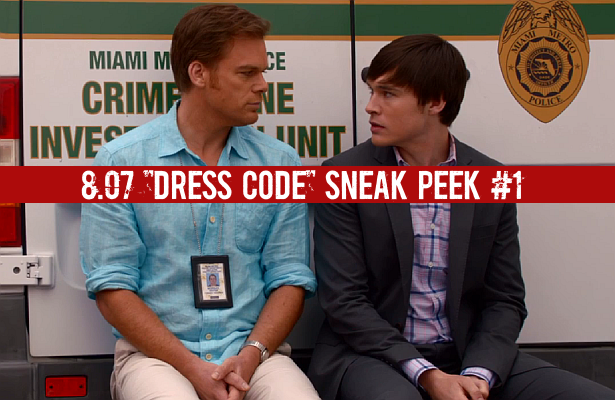 watch after the jump, the first sneak peek clip for this Sunday's episode of Dexter, 8.07 "Dress Code"!